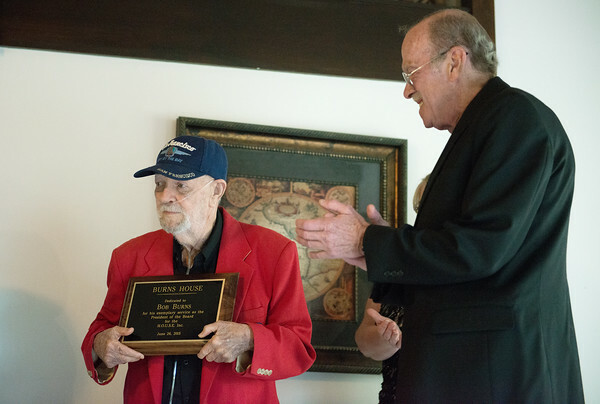 Pete Schlau, vice president of the HOUSE board, right, presents Bob Burns, president, with a plaque dedicating the newest HOUSE facility n Burns's honor on Friday. HOUSE, standing for Housing, Opportunity, Unity, Service and Education, provides transitional housing for those struggling with substance abuse. The newest facility on Duquesne Road is focused on helping veterans and those seeking higher education.